The easiest and most cost-effective way to reduce fuel is to use a weather-responsive control, also known as an outdoor reset control. To learn more about how they work and the benefits they can provide, please read the article in our Noteworthy section of this website. 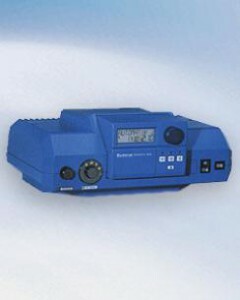 Simple operation, intelligent functions: that is the basic concept of the Logamatic 2000 Series. Buderus Logamatic controls monitor both indoor and outdoor temperature and accordingly adjusts boiler temperature to actual demand. Lower operating water temperature decreases cool-down and flue gas losses which translate into lower energy consumption and fuel bills. An indoor/outdoor weather-responsive boiler control unit for heating systems with one direct-connected heating circuit or, as an option, with an integrated heating circuit control unit for an additional heating circuit with a mixing valve. ▪ Program selection for controlled drying of concrete floor in radiant floor heating application. ▪ Fast installation time, start-up and service due to Rast 5-connector system, plug-in function modules and integrated diagnostic system. 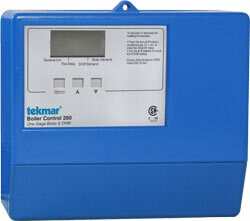 The Boiler Control 260 is designed to operate a single boiler using outdoor reset. It can be used in applications ranging from baseboard or mixed radiant heating systems, to combination space heating and domestic hot water heating installations. 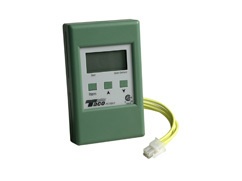 This control regulates a single heating water temperature through outdoor reset and/or Domestic Hot Water control. 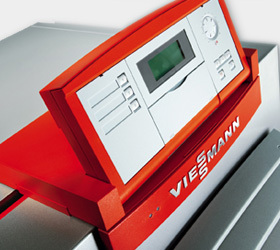 It is capable of controlling a single on/off boiler and can receive both space heating and/or DHW heat demands. The Taco Boiler Reset Control is designed to improve performance in your hot water heating systems by regulating the supply water temperature of a single boiler based on the outdoor temperature. The control utilizes a heating curve to set the relationship between outdoor temperature and supply water temperature to provide optimum control and comfort. Thanks to its integral microprocessor, the PC700 is able to continuously adjust the boiler differential to avoid boiler short-cycling and large temperature swings, Standard functions include warm weather shut down, minimum boiler supply temperature setting, and a starting water temperature setting. A liquid crystal display clearly shows the boiler supply temperature and other monitored temperatures and settings for simple and effective control.